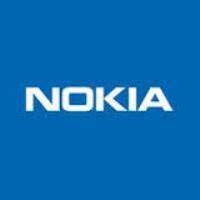 Directorate Post & Telecommunication Indonesia release an information regarding New Nokia devices that has been passed the testing process to get a certification in Indonesia on September 10, 2013. From that report, The new Nokia devices is Nokia 908 RM-875 aka Nokia Lumia 1020 Made in China that already passed the testing process at Directorate Post & Telecommunication Indonesia. FYI, This is a first step to get certification in Indonesia before on sale in Indonesian market. It should be Nokia Lumia devices with Windows Phone 8. For now there are no other information regarding this Nokia 908 RM-875. is this Nokia Phablet or 1st tablet from Nokia or is This Nokia Lumia 1020 for Global version? (as we know Nokia Lumia 1020 AT&T is similar to Nokia Lumia 909 AT&T RM-877). There is also new Nokia devices that already passed testing process, but there is only "RM-944" information on that post, we don't have any clue what Nokia model with RM-944. We believe, this Nokia Lumia 908 RM-875 is Nokia Lumia 1020 RM-875 Global/International version, So Nokia Lumia 1020 RM-875 already passed testing process in Indonesia. For your information, nokia change the name of Nokia Lumia 909 for AT&T RM-877 to Nokia Lumia 1020 before the launch event in New York. And for global version, Nokia Lumia 908 RM-875 changed to Nokia Lumia 1020 RM-875.